21 LISTS This Is AmericaLists and lists of the things that make each US State unique, from the weirdest laws to the most popular drinks and dog breeds to the shows residents are streaming most on Netflix. List Rules Vote up the strangest pastimes. Each American state carries a personality all its own, a set of characteristics that sets it apart from every other member of the union. As with any personality, there are oddities and quirks that come along with it, which may explain some of the weirdest state traditions. Every state boasts at least one custom or practice people from other states simply shake their heads at in confusion and wonder. Bizarre state laws and outrageous food laws ensure a state's peculiarities get official notice, but strange state traditions ensure said peculiarities are celebrated. In most cases, the tradition in question connects to the state in some way. In others, finding a link between the custom and the state is much more difficult. Nevertheless, residents come together to take part in these unusual festivities and celebrate the quirkiness that makes their state unique. In this day and age of divisiveness and division, communities gathering together is a good thing indeed - even if the reasons for such gatherings are a little odd. Every night on the last day of classes at the University of Vermont in Burlington, students shed their clothes and ride their bikes through the city. The annual event began in 1996, and live-and-let-live Vermonters don't seem to mind. Chicago is just one city that takes part in the No Pants Subway Ride, an annual event spearheaded by the New York-based group Improv Everywhere. It's just what it sounds like: people ride the city's subways wearing no pants, typically going about their business as usual and raising quite a few eyebrows in the process. Austin celebrates the birthday of Eeyore, Winnie the Pooh's depressed friend, every year. The free daylong event includes costume contests, live music, drum circles, and maypoles. At Chadron's yearly Fur Trade Days event, locals come together to celebrate their little corner of the state. One of the highlights of Fur Trade Days, however, has got to be the Buffalo Chip Throw, in which entrants compete to see how far they can throw bison poo. The tiny Ozark town of Olean holds an annual daylong party for those most underappreciated foodstuffs, animal testicles. Cattle and turkey parts are cooked up, as well as many other dishes, and a carnival accompanies the celebration. 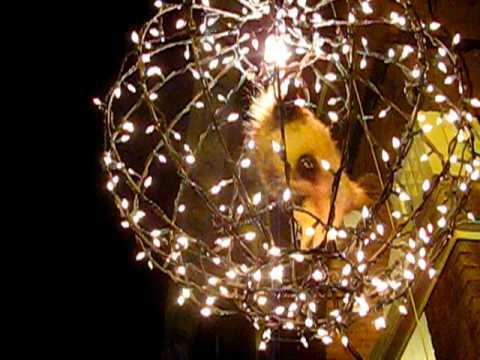 Tallapoosa's annual New Year's Eve festivities involve lowering a possum in an illuminated wire cage. But don't worry; the possum is long-dead roadkill named Spencer that a local taxidermist stuffed decades ago. No, it's not a contest to toss someone sporting a mullet. The community of Perdido Key gets together every year to hold a festival in which contestants try to throw a mullet fish from Florida into Alabama. Nederland celebrates a bizarre annual tradition that sounds both unsettling and fun. Frozen Dead Guy Days is essentially a race in which teams each carry a coffin with a live person inside through a snowy obstacle course. There's also live music, a salmon toss, and a festive parade of hearses, all done in honor of a very famous frozen dead guy, Bredo Morstoel. In Seattle, there is a piece of experimental art that is both repellant and fascinating. Residents and visitors alike come to the Gum Wall, which is located next to the Pike Place Market, and add their "contribution" to its icky appeal. Who doesn't love mashed potatoes? The city of Clark took their love to a whole new level when they started their annual Mashed Potato Wrestling Contest in 1997. As part of Clark's Potato Days, contestants duke it out in a vat of smashed spuds. 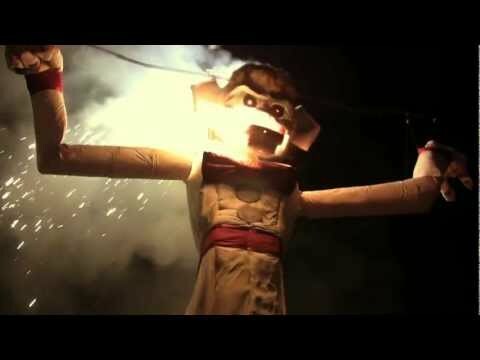 The first weekend in September, Santa Fe residents engage in the burning of Zozobra, a 50-foot-tall statue originally designed by local artist Will Shuster. The ritual symbolizes the burning of bad energy and the emergence of positivity. The butter sculptures of the Iowa State Fair have become so famous they've eclipsed the abundance of other activities and exhibits on display at the annual event. But, oh, what a delightfully strange tradition they are: master carvers from all over the world enter massive sculptures of everything from cows to Harry Potter. The city of Chandler, a place with a history of ostrich farms, holds an annual Ostrich Festival each spring, drawing hundreds of thousands of attendees. Part of the festivities involves racing live ostriches around a track. UFOs don't just supposedly land in the deserts of New Mexico. New Hampshire has quite a few UFO-centric cases, including that of Barney and Betty Hill, a couple who claimed to have been abducted by aliens in the 1960s. Exeter honors the state's unusual ties to UFO culture with a festival every September. Las Vegas may have all manner of adult entertainment, but the state's most unusual tradition is family-friendly, heartwarming, and a force for good. The Las Vegas Lucky Duck Festival happens each September, and competitors buy rubber ducks and put them in the Towne Square pond for a race; winning duckies bring in prizes, and all money goes to charity. In Beavertown, the peculiarities of the hillbilly are the focus of the annual Hillbilly Fever Days. The family-friendly festivities include games, a petting zoo, hayrides, and much more. Columbus's Doo Dah Parade is a raucous tribute to the freedom of speech. Entrants dress up however they want as a form of self-expression, and they share their opinions openly and entertainingly on any issue about which they feel passionate. When one thinks of red light districts, images of Amsterdam or Paris or New Orleans may spring to mind. But one of the earliest was actually in Dodge City. People often visit and view artifacts from the bygone district's heyday at the state's National Archive. In the early 1950s, a fraudster scammed Wetumka by tricking the townspeople into giving him their money in exchange for a circus coming to town. Of course, no circus materialized, but the good people of Wetumka refused to wallow in misery: they celebrated. To this day, they hold an annual Sucker Day Festival to keep turning those age-old lemons into lemonade. Every region boasts its own unusual wedding rites and rituals, but Kentucky may just take the cake - or the bottle, as it were. In the Bluegrass State, it's tradition to bury a bottle of bourbon at the site of the wedding before the nuptials take place; superstition says this prevents rain, and the bottle should be buried during weather conditions the couple wants for their big day. Lutefisk can be enjoyed any time of the year, but those who live in Minnesota most often prepare it at Christmas. For most people, once a year is quite enough for this Norwegian fish dish, which consists of cod soaked in lye for days and often served with melted butter. Every Columbus Day weekend, Mainers gather in Damariscotta to celebrate that most beloved of all gourds, the pumpkin. There's the usual festival fare like a parade and pumpkin sculptures. But the crème de la crème is the pumpkin regatta, in which entrants race through the water in hollowed-out pumpkins. The delicious goo known as Marshmallow Fluff was invented in the Boston suburb of Somerville. Every fall, the community holds a festival in honor of its most tasty creation, complete with cooking contests, games, live music, and, of course, every Marshmallow Fluff treat you can possibly imagine. Marlington's annual Roadkill Cookoff has drawn the attention of the world. One day each fall, the town's cooks compete to see who can make the tastiest dish from, you guessed it, roadkill. Deer, squirrel, rabbit - if you hit it with your car, it's on the menu. Held over Labor Day Weekend, this Crisfield celebration honors all things blue crab. Crab-themed cooking, artwork, parades, and rides are on the menu. The highlight is the crab derby, in which people race their crabs along a specially made track to victory.